Jeffrey, Your kindness was really appreciated. Selling my home was an emotional experience for me. I thank you for all your help. 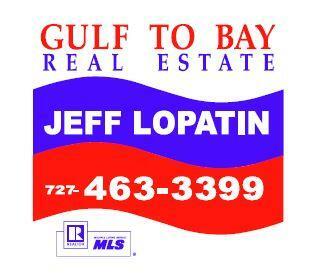 To whom it may concern,I am writing in reference to Jeff Lopatin who was my Realtor at 1702 Meredith Lane, Belleair, FL. I can tell you without a doubt Jeff is and has always been the best real estate agent I have ever worked with. In the last ten years I have bought and sold four homes, one in Florida and three in California, and he exceeded all my expectations and then some. He does a fabulous job of marketing, conducting open houses and negotiating the sale. He even fixed one of my closets that needed about $300 of repair at no cost to me. The agents I worked with in California could learn a thing or two about selling a home from Jeff. If I were to ever buy a home in Florida again, I would use Jeff Lopatin every time. Please feel free to contact me if you have any additional questions or concerns about him.